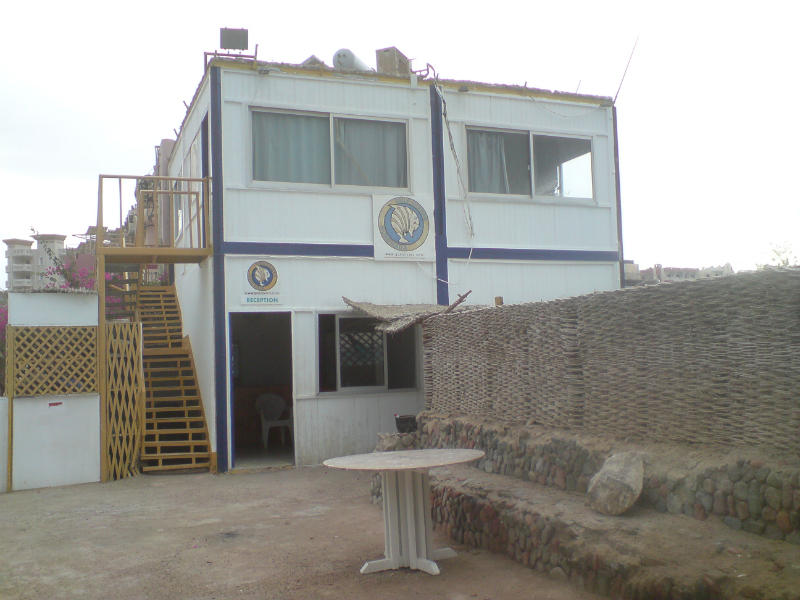 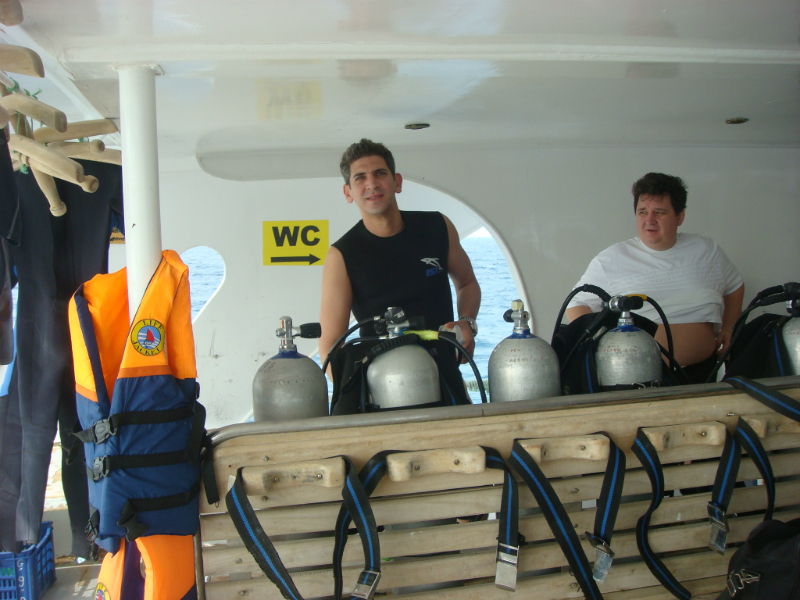 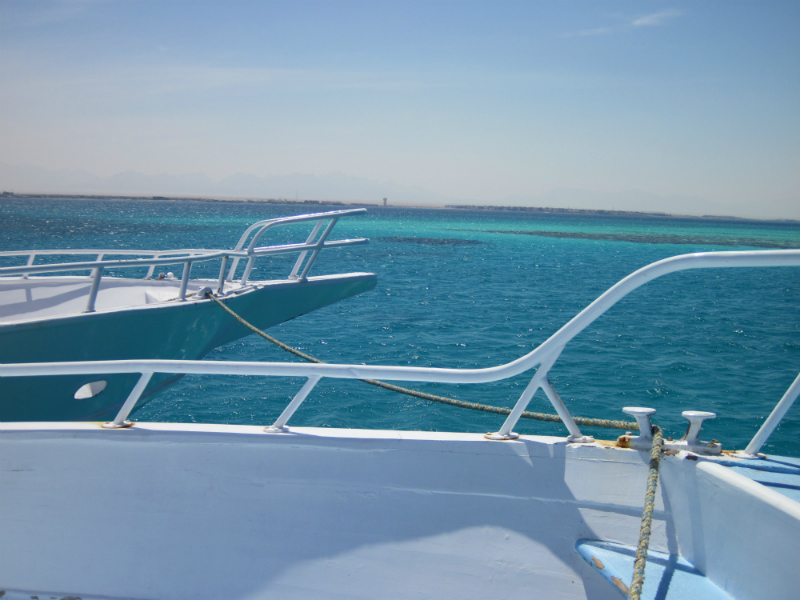 Our partnering dive centre, operated by Gulf Divers, is located at the Beirut Hotel within Al Arabia (a location of Hurghada). 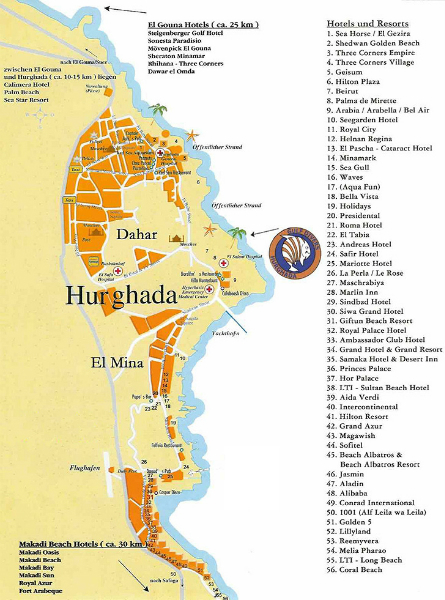 Just minutes away from the centre of Hurghada and near to Sheraton Road and Sakkala, Hurghada is now one of the Red Sea’s leading seaside destinations. 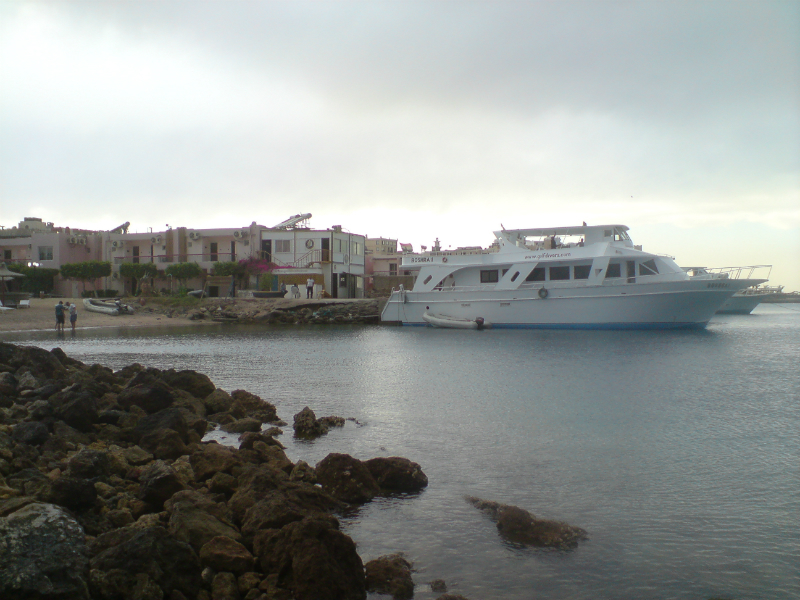 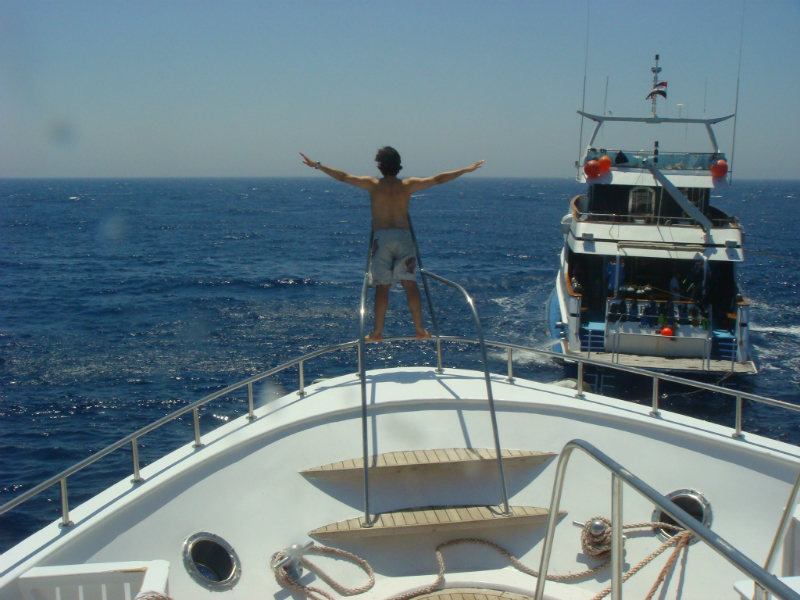 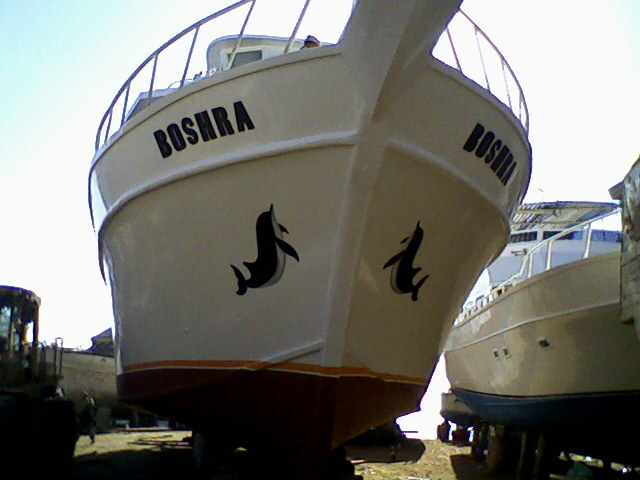 Boshra is Gulf Divers longest serving daily dive boat. 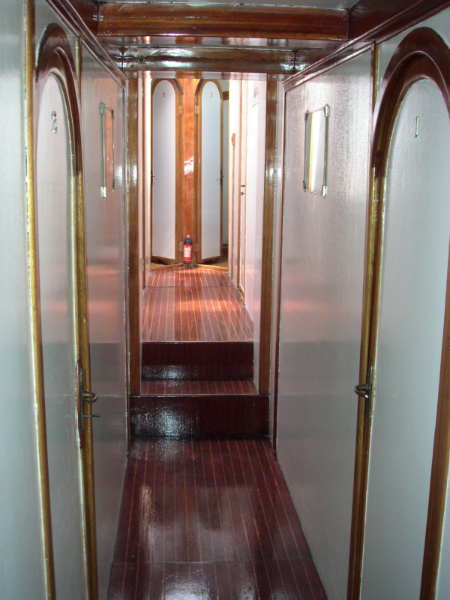 Being the biggest (24 metres in length), it contains two large diesel engines together with a sleeping capacity of 14 people within 6 cabins. 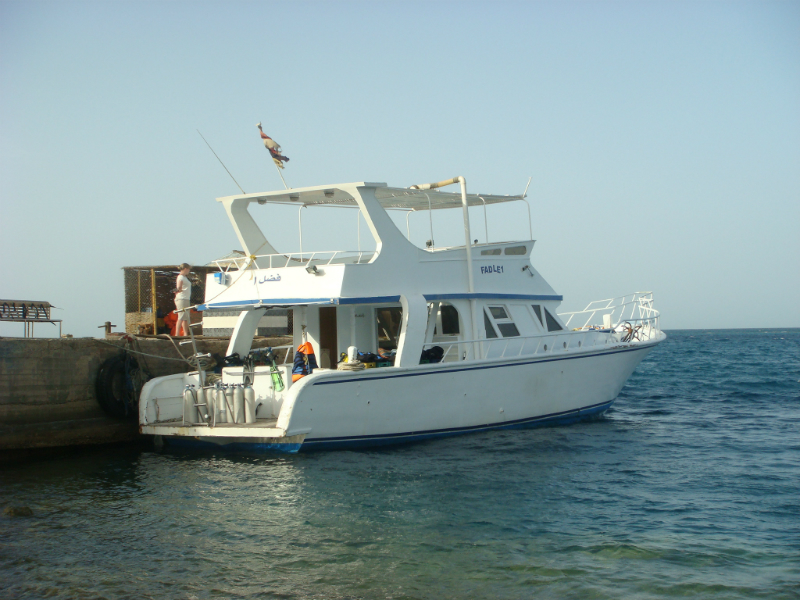 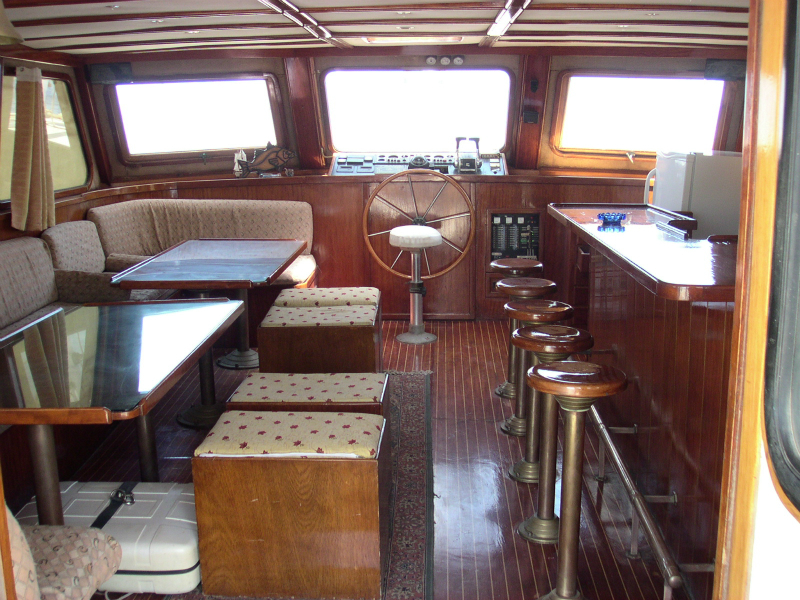 This boat is licensed to carry up to 50 passengers, but we limit numbers to an absolute maximum of 30 for diver comfort. 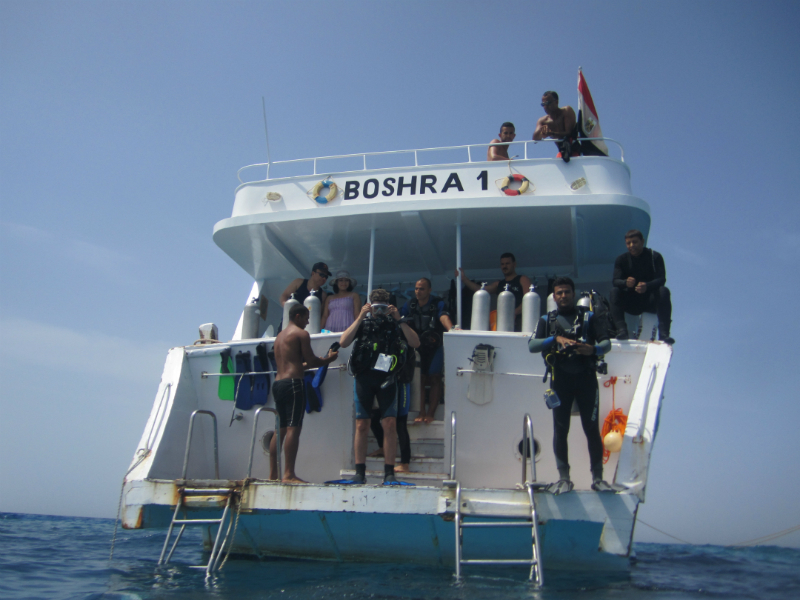 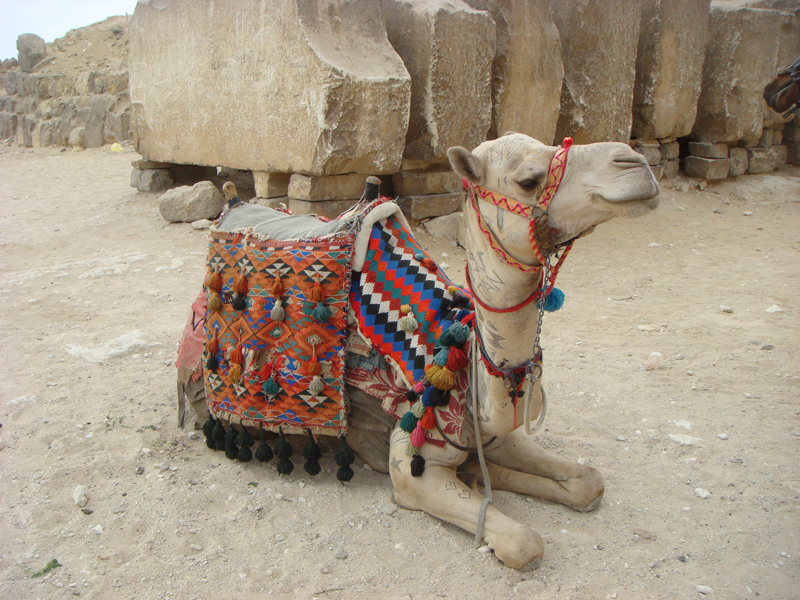 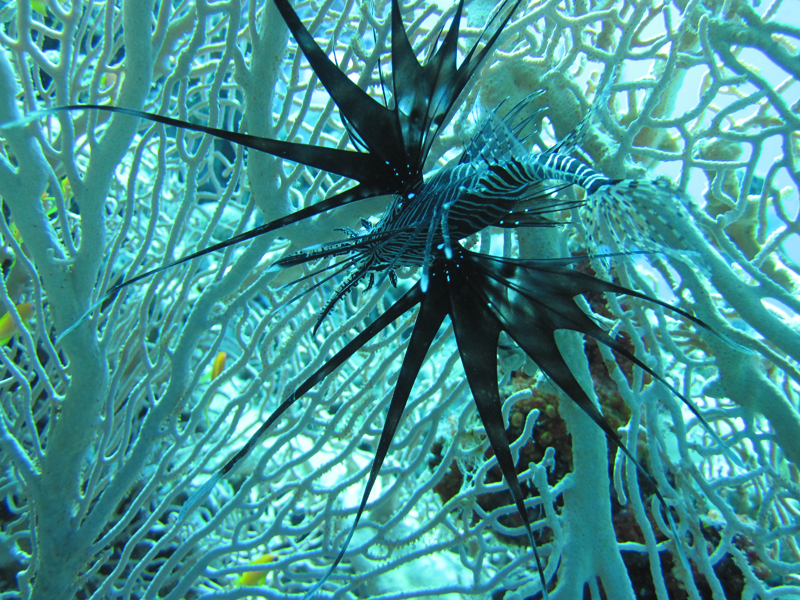 Boshra is used for both daily diving and safari’s. 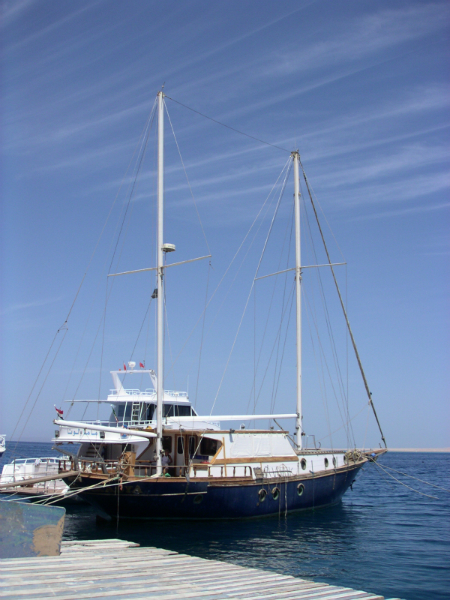 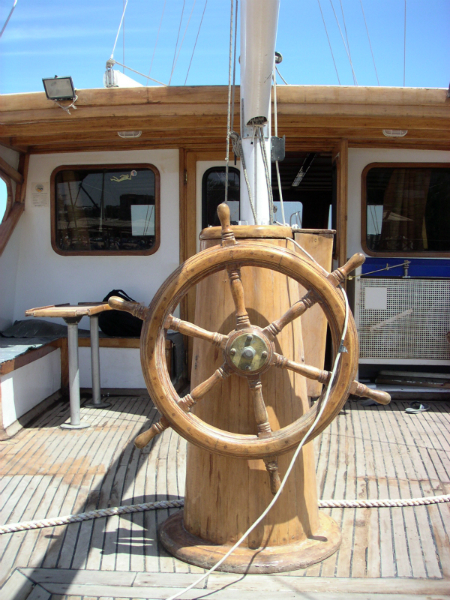 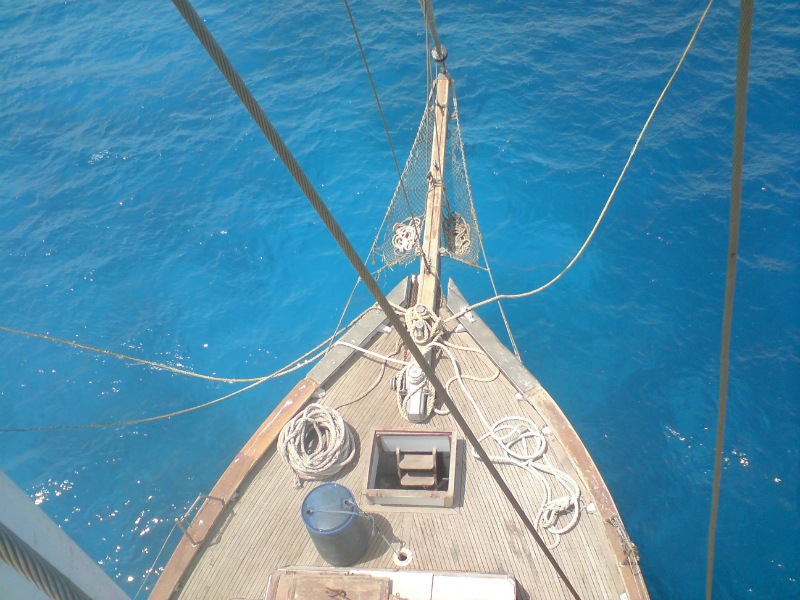 The Akasia is a traditional styled looking sailing boat often used for ‘mini-safaris’. 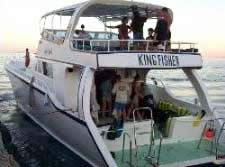 Kingfisher is 19 metres in length and licensed to carry up to 15 divers. 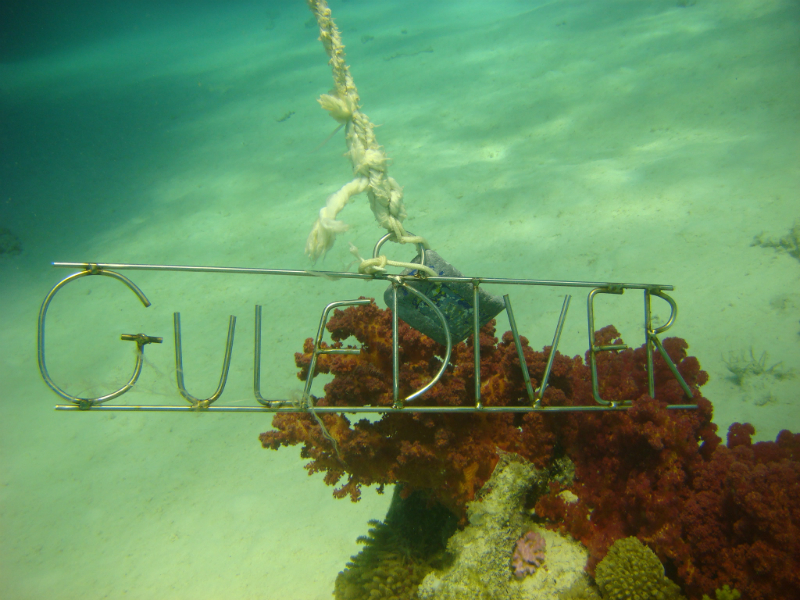 Gulf Divers use Kingfisher to run their popular ‘mini-safaris’, of one or two nights away. 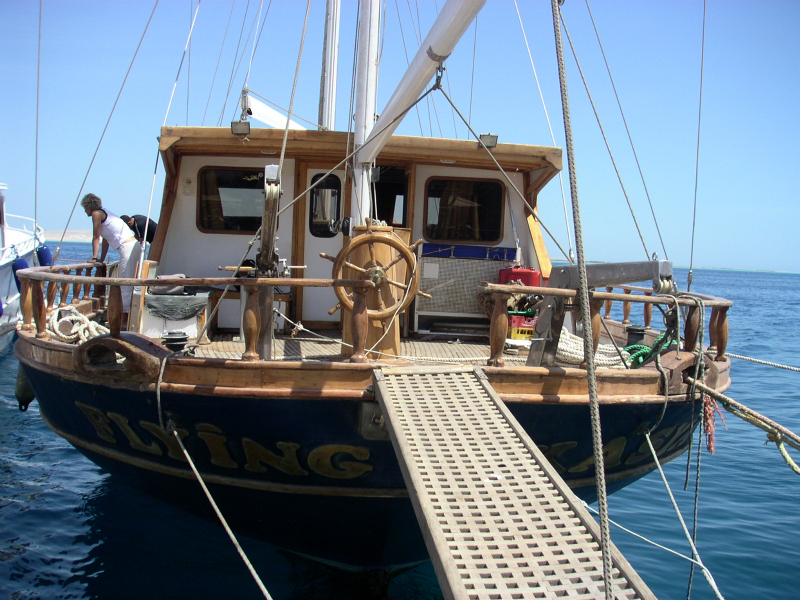 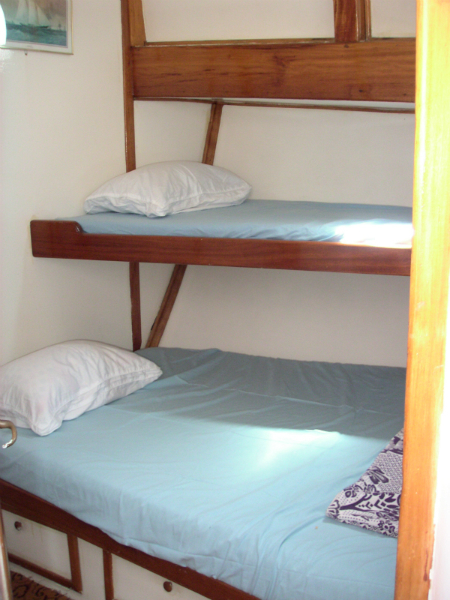 These safaris are popular with groups and dive clubs who don’t want to spend their entire holiday at sea. 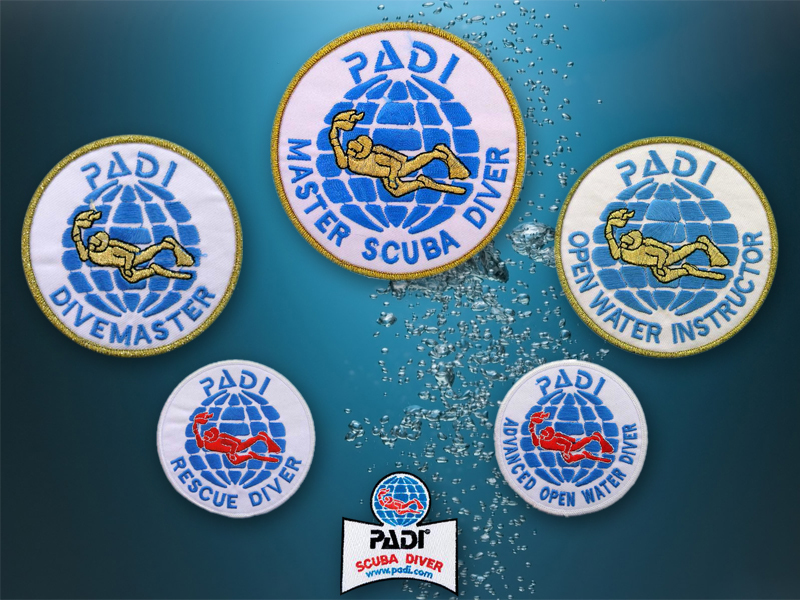 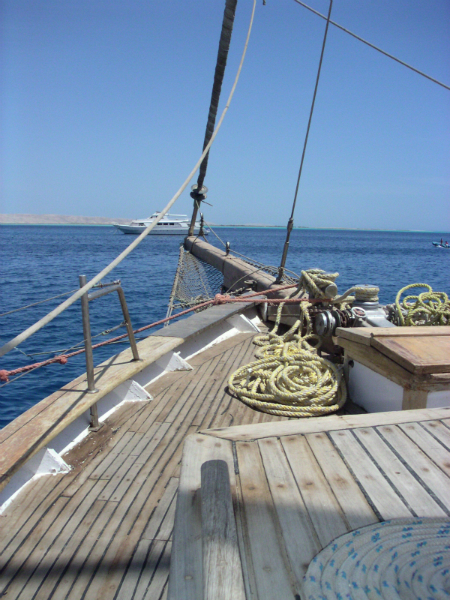 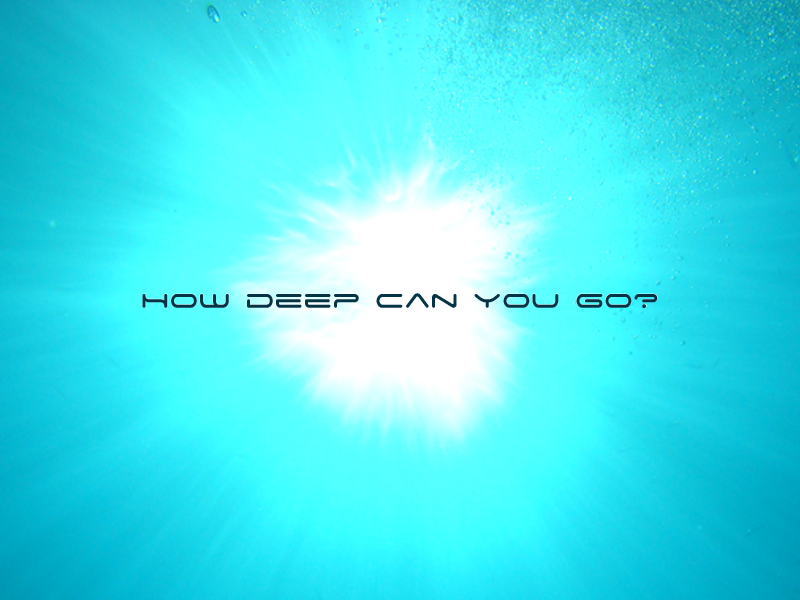 Instead they would prefer a couple of nights away in order to get to those dive sites which are further away – The Thistlegorm for example (one of the world’s most popular shipwreck’s) located on the other side of the Suez Canal.